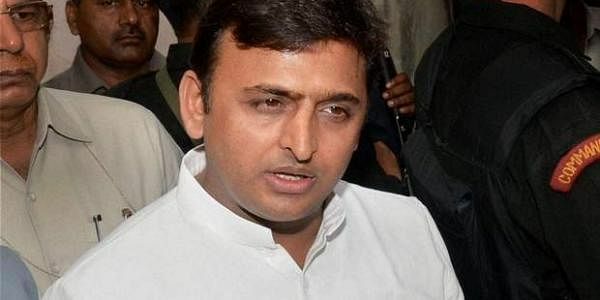 Akhilesh claimed that Mayawati's party had diverted its votes in favour of BJP in the 2014 Lok Sabha polls as he cautioned the people against voting for his rival parties. PILIBHIT: In a searing attack on BSP, Uttar Pradesh Chief Minister Akhilesh Yadav today claimed the party led by Mayawati had diverted its votes in favour of BJP in the 2014 Lok Sabha polls as he cautioned the people against voting for his rival parties. "BSP could not get even a single seat in the last Lok Sabha elections (and) when the matter was looked into in depth it was found that on many seats BSP had got its votes transferred in favour of the BJP," he claimed addressing an election meeting in favour of his party nominees here. "The BSP chief (Mayawati) has formed government three times with BJP in the past and this time round too they are looking for such a possibility (if required) and so their leader is out to mislead the people, especially Muslims, so as to divide their vote to help the BJP," he stressed. "If the voters fall to such tactics, BJP could once again help BSP to form its government in the state," he said, appealing to people to vote for the SP-Congress alliance "for further taking the state ahead on the path of development". The Samajwadi Party president said it was now the turn of the people to give a befitting reply to BJP which had forced "burey din" on them through note ban after promising "achche din". The Chief Minister said his government has worked for the progress of all sections of society in the past five years and established a balance in the urban and rural areas in development. The 403 assembly constituencies in UP will go to polls in seven phases between February 11 and March 8 and their results will be out on March 11.